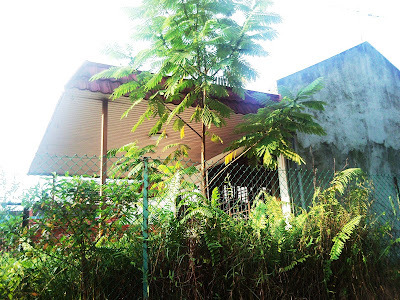 In this modern era and in land-scarce and property crazy Singapore, there exists, in small small pockets, certain houses, places or property, that somehow manages to elude the construction tractors and developers and remain abandoned. 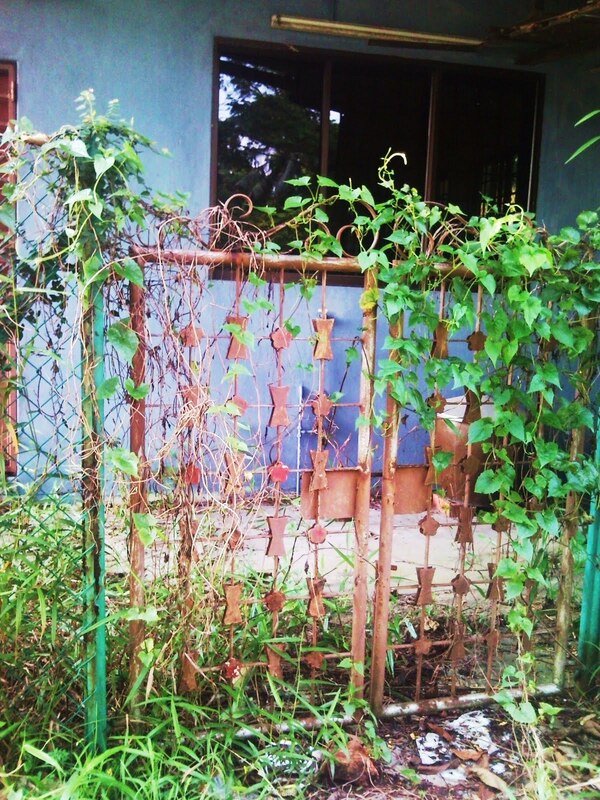 For some strange reasons, these places remain untouched, unwanted and left vacant. What strange tales exists in these places? Something sinister? A forgotten legacy? Hidden secrets? Well, GhostClubSG takes an exploration of some of these places in Singapore. See if you might have come across them in your travels around the sunny island! 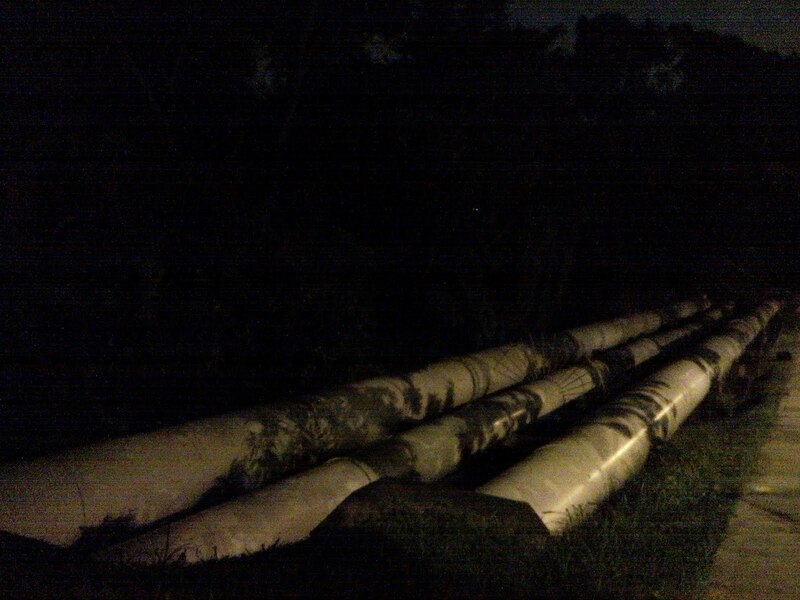 First stop, Seletar Barracks. This is a well documented place where blocks of old colonial houses remain. 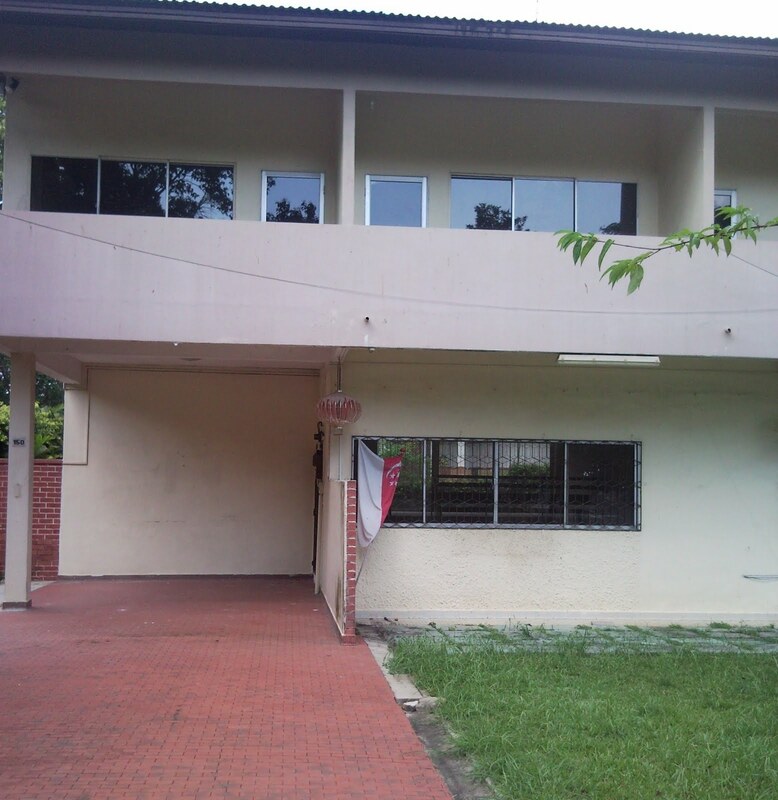 Checks with SLA revealed that these places are up for renting. 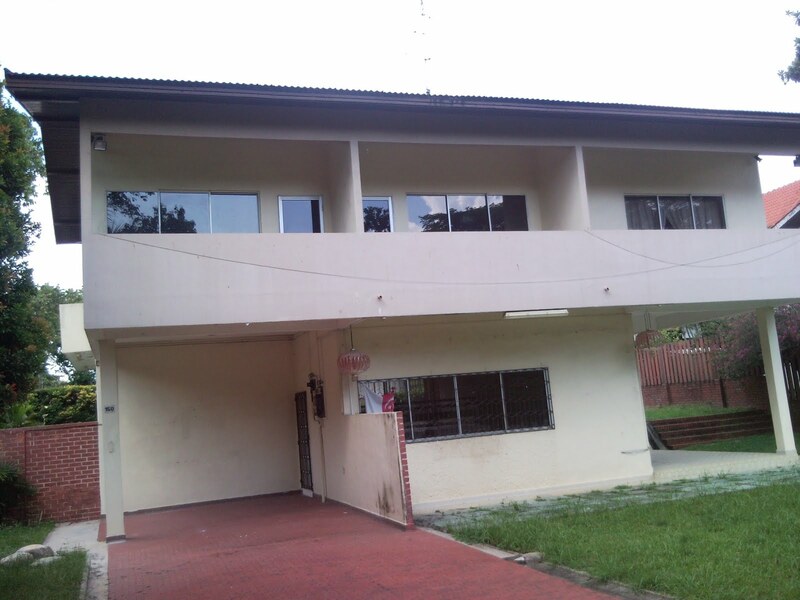 The houses are located in quaint Seletar Airbase, quiet, serene and very laid back! Certainly worth renting if i have the money, as a retirement home! Huge shady trees, birds chirping, very little traffic, there is a freshness in the air and a nice cool breeze that swipes across. Very rustic indeed! Here, a big huge tree caught my eye. It looks almost like a hand coming out from earth. Kind of a nice picture but at night, i ain't so sure. It looks creepy! Signs of slight decay and certainly a nice coat of paint would make these row of houses look so much better! One interesting thing, our old colonial houses are all in white and black roof. Any particular reason for this arrangement of colours? Quaint as it is in day time, there is yet a feeling of eerieness and spooks at night. Perhaps this would be an ideal place for a Halloween Party? I wonder who stays here in the 1930s and what is the history behind these particular buildings. Australian or English pilots from the past? In our past exploration, we investigated an old abandoned private house along Bukit Timah. Rumours of eerie screams at night was debunked as we heard no such voices during our investigation. But we were certainly intrigued by the history and possible story behind this abandoned house. 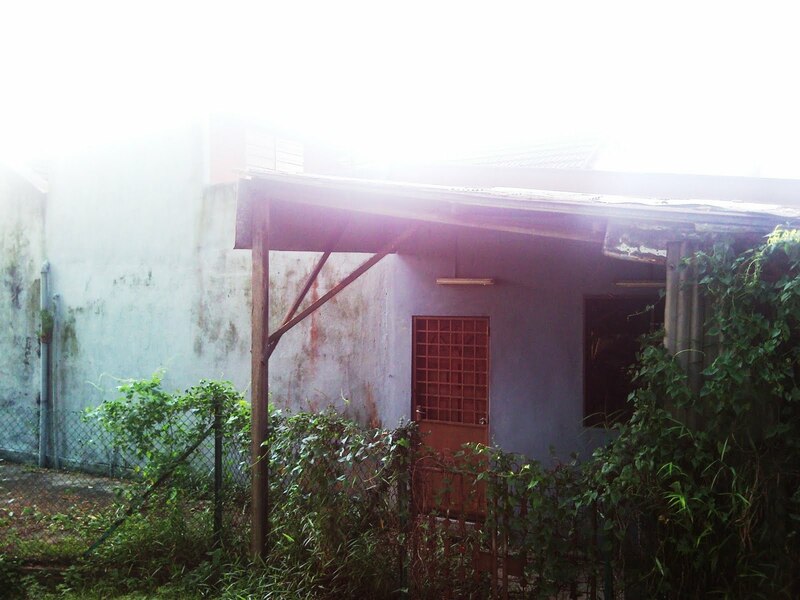 It kinda reminded me of the Red House at Pasir Ris. 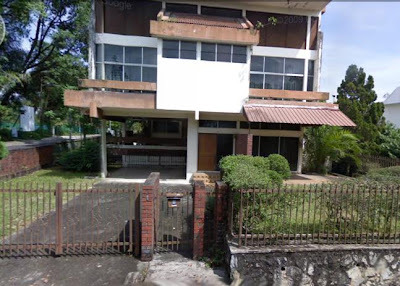 Unfortunately, in our recent travel there, we realized that this old majestic house that hinted the residence of some sort of possible powerful rich man, was gone. Steam rollers and construction trucks are already beginning work on the grounds where this house stood. Somewhere near also lies another forgotten, majestic abandoned house. This abandoned house has been around as long as in 1999 when i noticed on my travels to my camp at MINDEF on bus 170 that this majestic, very rustic and old rounded architecture existed. It reminded me of some chinese influenced almost an olden hospital look. But i never knew the story behind it though. This property has been abandoned for some while it seems, as the grass inside were long and uncut. 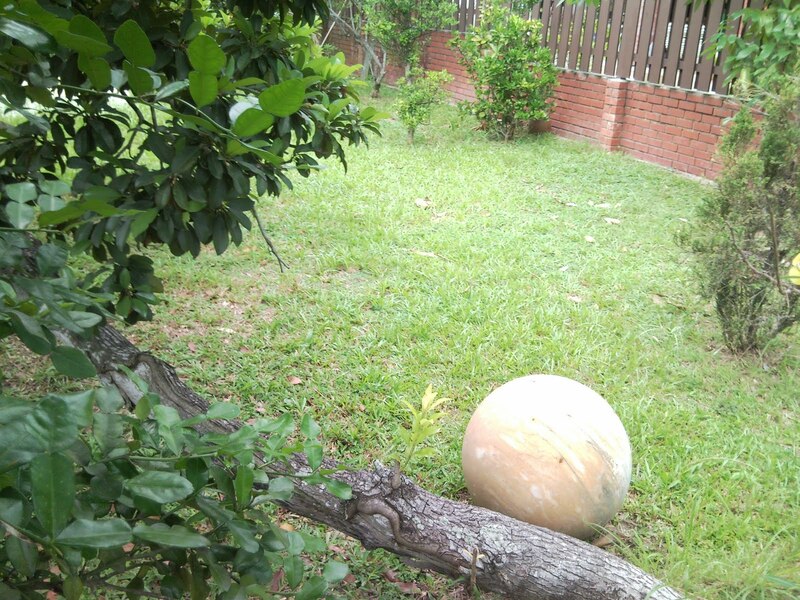 A huge tree overgrows and covers the entire sight of the house. Set in the posh private housing at Caldecott Hill, the almost equivalent of Beverly Hills or Hollywood, a couple of old abandoned houses stand. 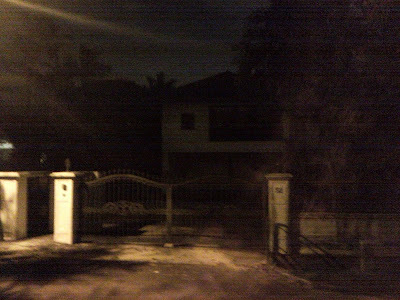 The first one that i chanced upon was near Mediacorp, where the house looks abandoned and empty. The house was closed shut and there were junk around. But as i took a closer look, there is actually a car inside! Wrapped in the sunblock cover! But it is really weird because the whole house look dead. Perhaps the owners were out overseas. I entertained the dramatic and spooky idea of unwrapping the car cover and finding a dead body inside the car. Ironically the house number is '66'. Somehow any number associated with 6 related to the 'Devil', according to some. There have been many instances of 6s leading to uncanny tales and ghostly hauntings. Is this one of the houses that also hide a dark sinister past? Further down the road, i noticed another abandoned house. The gates were opened and as i observed, a man was busy cutting grass down near the bottom of the house. 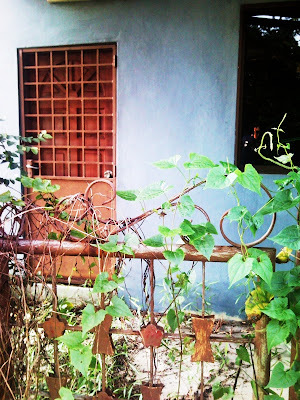 The house looked old, and of the 1960-70s era architecture, including the traditional old metal gate door. You can still find some of these around. To the left, you can see a gate leading to the bottom of another part of the area where the man who is cutting grass is. No clues as to the mystery of this house, except...if you notice the picture of the gate above, the house number is '26', also with the number '6'! How uncanny! Following a tip off by Agent MaXx that he had spotted a gate that leads to somewhere, we investigated this particular place, located in another private housing area in Yio Chu Kang, near Upper Thomson. It is situated at the dead end of one of the private housing lanes, and it certainly holds potential! The rusted barrier of some sort of place, with a fence and gate that is ironically open, as if waiting and beckoning me to enter! And enter i did! Totally unsure of what lies inside! And alone! Certainly holds some potential of some paranormal activities at night, judging by the trees and slightly heavy feeling. Some buckets turned upside down, empty bottles also upside down, and a small stream flows. But the stream yields a muddy unhealthy looking water. 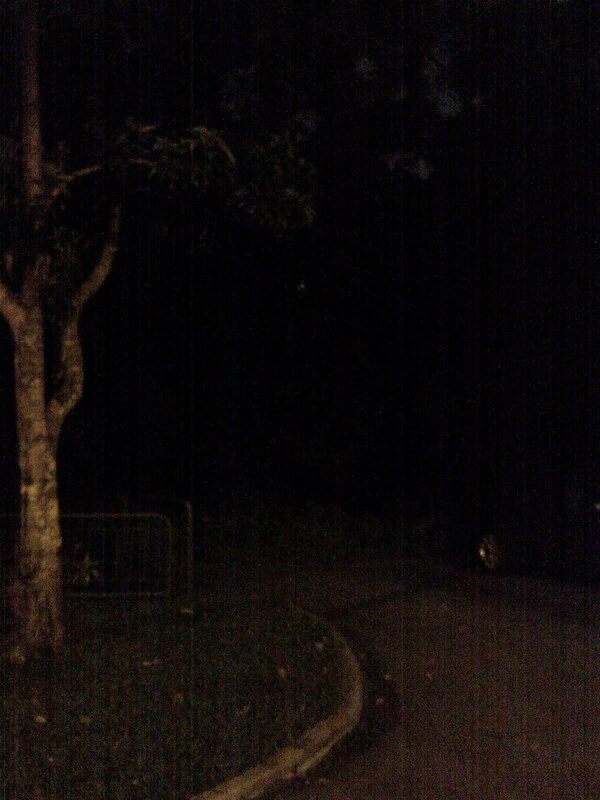 Then i noticed a pair of strange lanterns hung on a particular tree. Not sure what the purpose and the intention is, but any chinese lantern is suspicious. An online research on the 3 words visible to the eye yields an interesting meaning. "Bai zi qian sun" means having plenty of children and grandchildren. But why is this hung onto the tree? Traditionally, such lanterns are hung onto big trees with bulging roots that symbolizes and represents vitality and posterity. So perhaps the tree that this lanterns are hung represent something about fertility? But as i walk around this grassland, what also strike me are the existence of plenty of banana trees around this plot of vacant land. And banana trees aren't good signs. Pontianaks are known to like being around banana trees. But this is kind of a clash with the chinese lanterns found. And it just throws more questions and curiosities. What is the nature of this place, are there two cultural unity of different paranormal entities here? 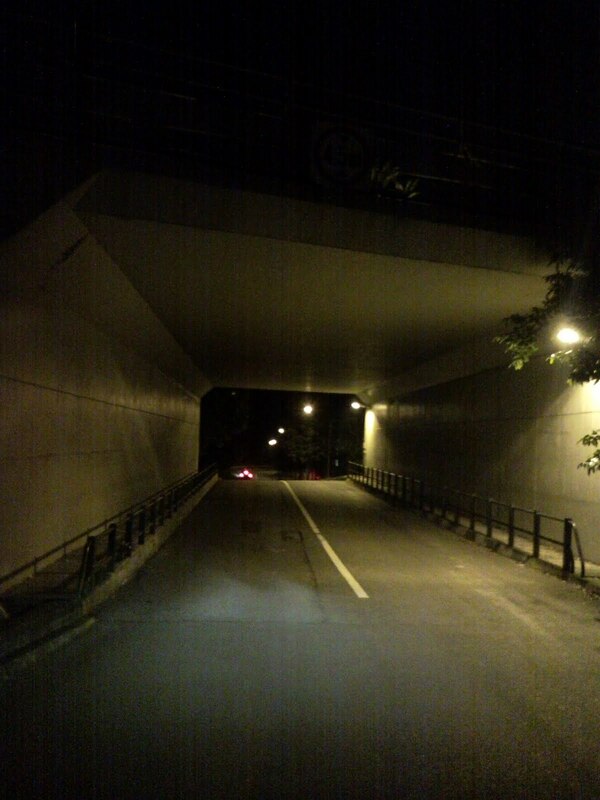 A night exploration here is crying out. As i see more banana trees, the dogs started to bark. Being so close to private residential areas mean that night explorations will be tricky as our torchlights will be really visual to residents, who might call the police for fear of burgulars. But the main gate isnt locked, so we will not have to worry of trespassing. This mysterious place certainly warrants more follow up investigation by the team! Pasir Ris Park is a place where families enjoy a nice weekend out, cycling, strolling by the beach and playing the playgrounds within! 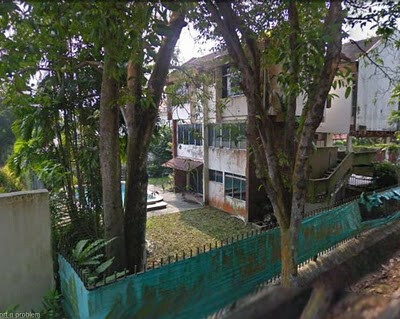 Yet at one obvious point along a private house road where the only SBS bus runs to Pasir Ris Park, lies a vacant and empty house. Neglected and left abandoned. Well, to be truthful, this vacant house is not too old. Probably still relatively new, likely even in the 90s. Remnants of a Singapore flag still lie within, showing that the family of this house probably like Singapore. There wasn't many things around the house to indicate its make or what happened to its occupants though. 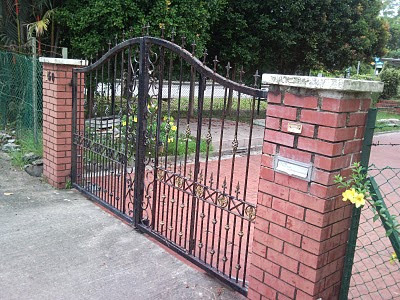 Nice simple gate with brick foundation. Nothing too sinister about this house except for it being vacant. Perhaps the owners did not like its location being right at the side of the road. But you would always ask, why is it that the owners do not sell the house but leave it vacant? 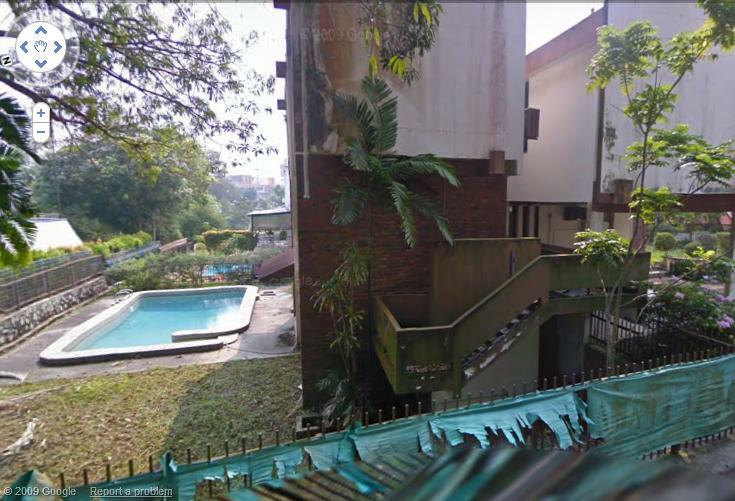 Well, the owner could be a rich man who does not need to sell the house to get another house, he is probably staying somewhere else but this property is still left unsold in the market. A clue lies on the garden patch. A huge big yellow ball. It feels heavy, almost out of place. What is that?? 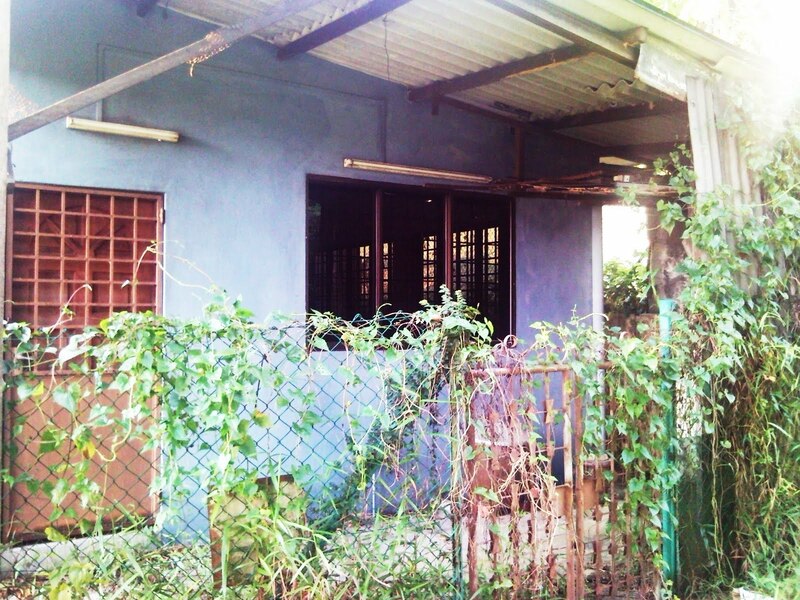 One interesting note is that the house looks really well maintained and clean despite being vacant. The grass are cut and the place tidied. Perhaps it is true that maintainence is being done by someone here. Curtains can still be seen on the upper floor. It would be interesting to go try out the door and see if its locked and explore the house upstairs. 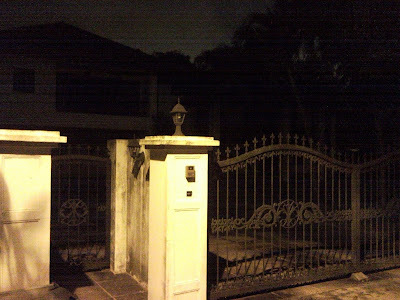 Unfortunately the house is locked and being a private property, GhostClubSG respects that, and leaves this house alone. Overall, this looks like just an ordinary unsold piece of property. Nothing really sinister or that implies some story behind it. So mystery is closed here! 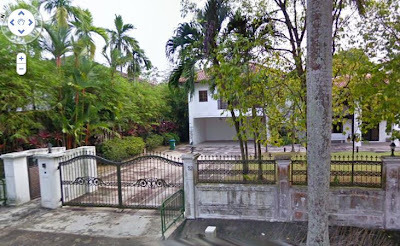 In our second visit to Bukit Timah, we explore abandoned property right in the heart where posh living and various embassies are located. These little abandoned houses are quite obvious to the passing car. Some are in poor condition, others just crying out to be explored. This particular house we chanced upon inside one of the private roads certainly looks really neglected and dirty. 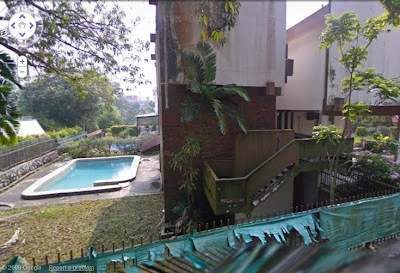 Situated right at another corner road, it looks quite big and grand, even with a swimming pool. There must be something about houses at side roads. 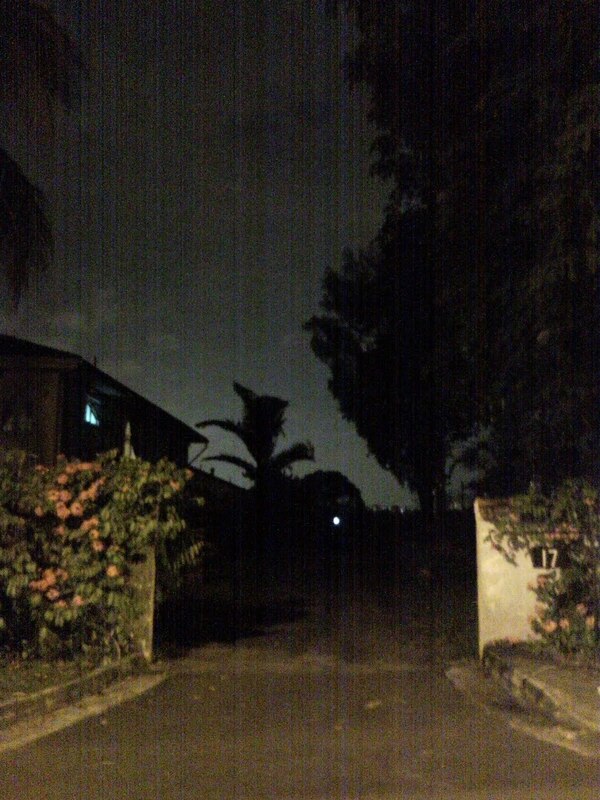 Cos the Pasir Ris house is also at the side road! It is very weird that in this abandoned house, it seems like the pool is still filled with water! Yes, if you take a look closely, you can still see water in the pool! But everything else is certainly abandoned and neglected. Is there a major mosquito breeding ground here?! The surrounding of the house is being covered up by some canvas, kinda indicating that it is going through some sort of revovation or construction but the state of decay and condition of the canvas suggests that whatever that was intended was never carried out for years. Front side view of this abandoned house. It looks a little bit old, kinda like in the 1980s type of architecture. Brick walls and fence and blocks. Not much clues to yield any type of suggestion about the nature of this house except for the canvas wrappings. 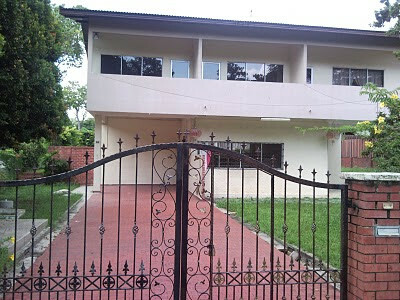 Front view of this house. It is quite well kept too, the grass is not overgrown and someone is trimming the trees. Further down somewhere near to the house above, we again chanced upon a seemingly abandoned house. This one certainly looks newer. We did a night and morning exploration here to compare the difference. No entry though as it is also private property. 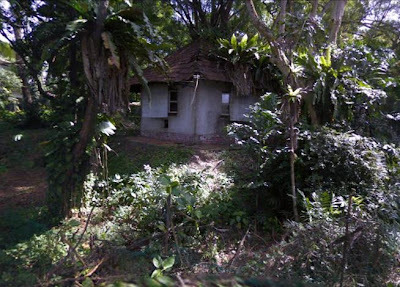 It looks kind of like the previous house we found, but this house is located in between other houses that are occupied. As like the previous house, this one is also well kept and maintained. 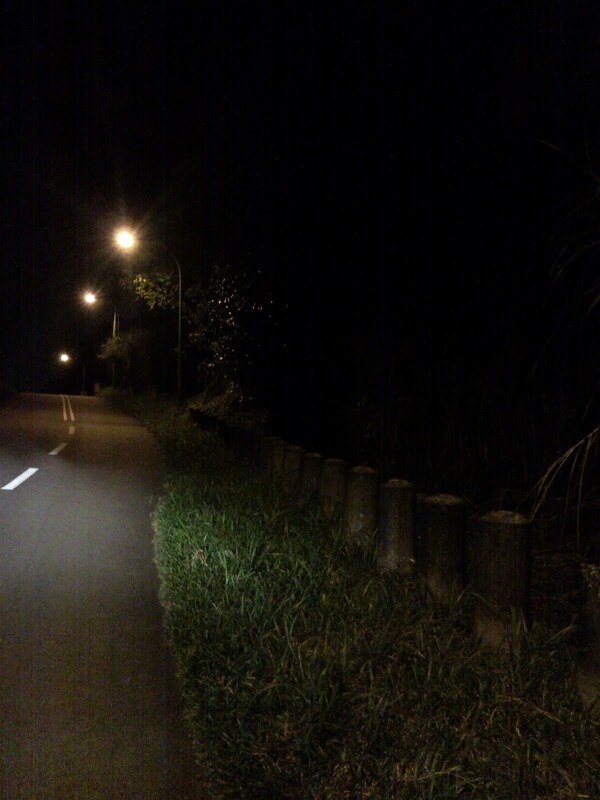 At night, it looks pretty ok. A little dark but generally peaceful. 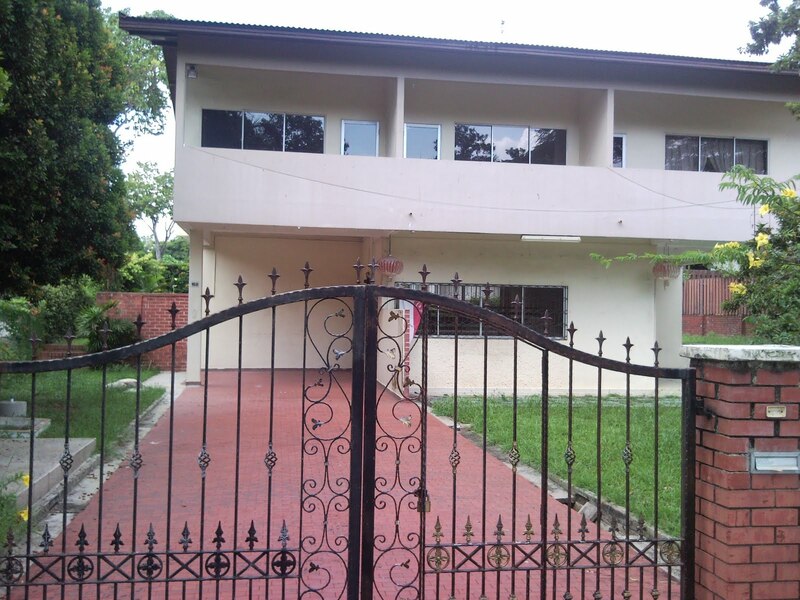 We believed the owners of this house could be expatriates who have since left back to their home country, thus leaving the house empty. Perhaps in the recent years when property prices ballooned, no body wanted to rent or purchase this land. 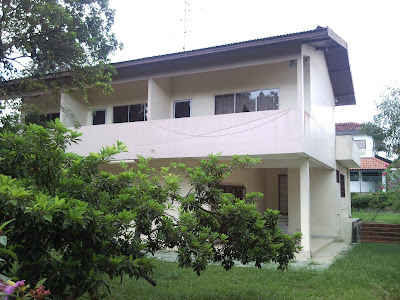 Until someone steps forward to shed some clues as to the reason behind this house being vacant, i guess we can only speculate and draw our own hypothesis. 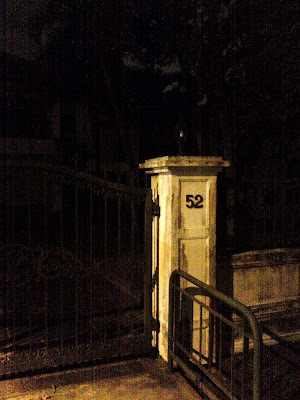 And till that day comes, the mystery of house 52 will still be unsolved and left along the roads of Bukit Timah. 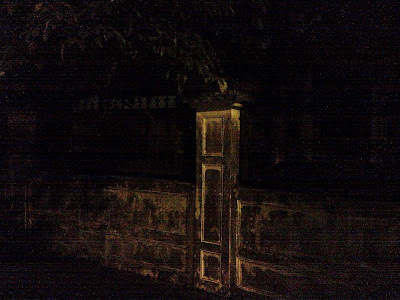 This final shot before we left added a twist of some sinister and dark side to the otherwise calm and peaceful house. This front side pillar of decay and mould only adds on to the possibility that there is more to this story! 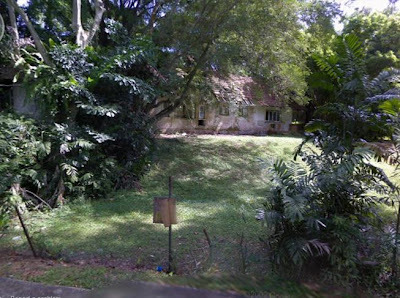 All around Bukit Timah, you will find spots that may suggest some paranormal possibility. Here at the end of a dead end road, a little basketball hoop lies standing. 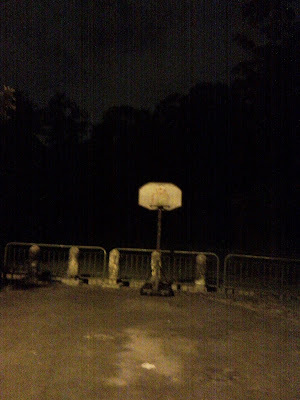 If i hear sound of basketball now, i will surely be intrigued! 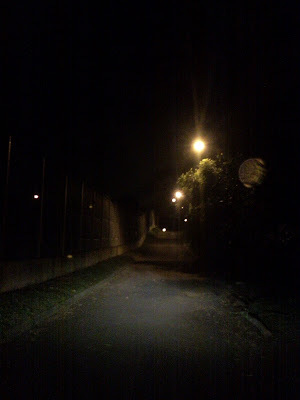 Roads seem to lead to darker areas, and the level of secludedness is for all to feel and see. It is dead quiet at some spots, certainly dangerous for ladies to take an evening jog. 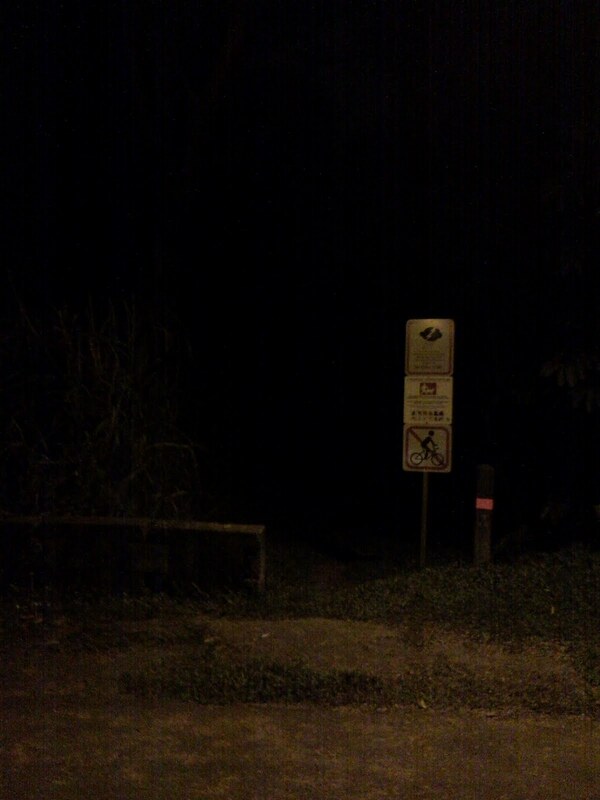 One of the entry points to a part of Bukit Timah Hill, it certainly looks not fit for entry without a torchlight! An interesting tunnel that i found that separates two sides of the private houses. It is as if we are going into another side of the world. The dark side. 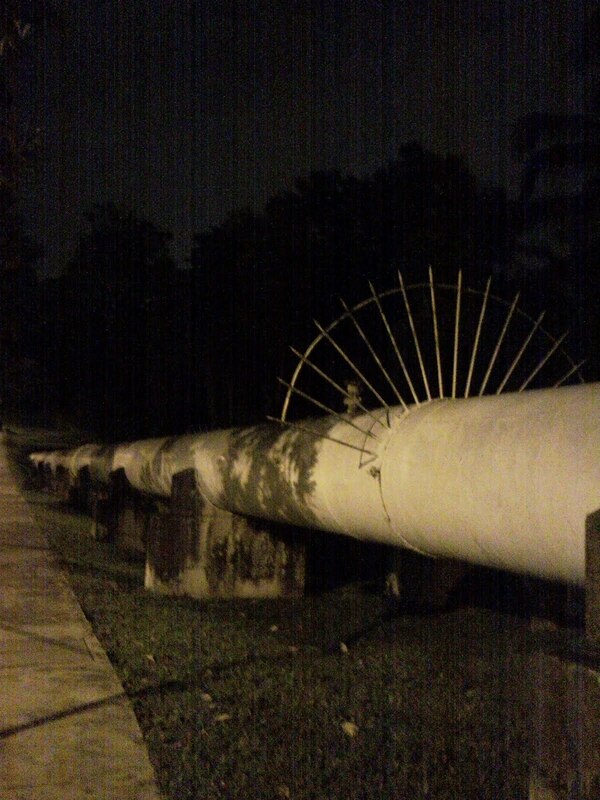 Water pipes leading to various points around look good for balancing on and having a race across! Our last exploration takes us to this particular house at Upper Thomson, rumoured to be left vacant because of some dark past. It is said that this particular house lived a lonely unwed sister. Though unwed, she was very independent and lived her lone life with happiness in this little corner house located right at the end of a narrow tiny private road near to a main road. Some though, said that despite her happiness, she is lonely and hurt. However, one day another sister of hers was visiting her and when she knocked on the door, there was no response. She knocked more and got anxious as her sister does not leave the flat. Through the red door you see above, she couldn't gain entry as it was locked. Peering through the window, she couldn't see her sister in the living room either. There seem no sign of life! She eventually called the police and when the police managed to open the main door, and stepped in. They found the sister dead and decomposed for weeks, in a chair. The sister must have either suffered a stroke or heart attack and died. 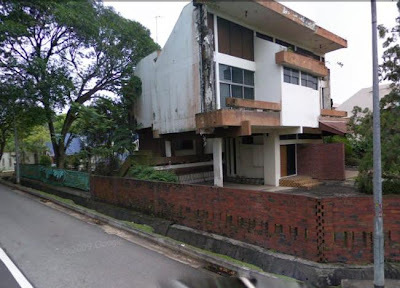 And so this house remained vacant since because it was quite a dramatic story that was even featured in the newspaper. Or so it was rumoured. Well the look around this house certainly suggests something along those rumoured lines. This house is certainly old, it looks neglected and not trimmed or maintained like the other houses. Perhaps the sister did not draw a will and her next of kin do not want the house. 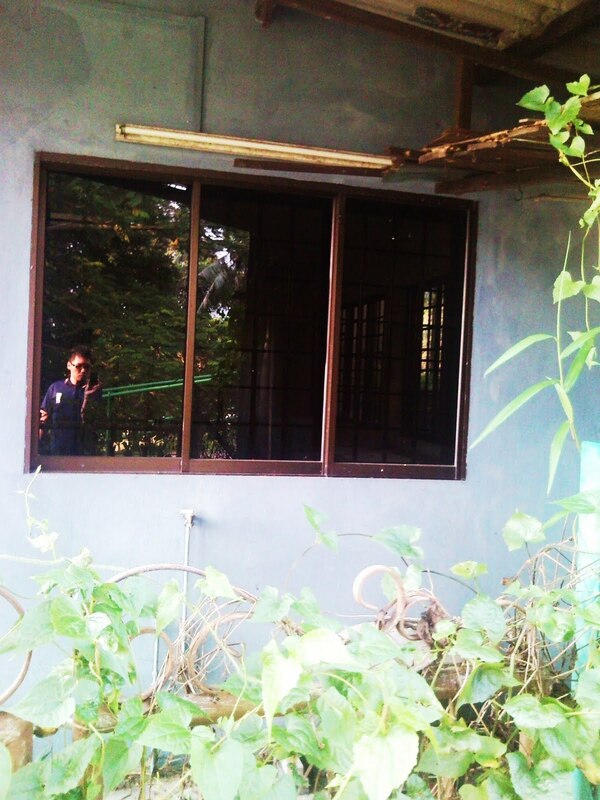 A peep into the window inside yields an empty house. Cleared of furniture and certainly no signs of the chair that the sister died on. But the mystery will live on forever. 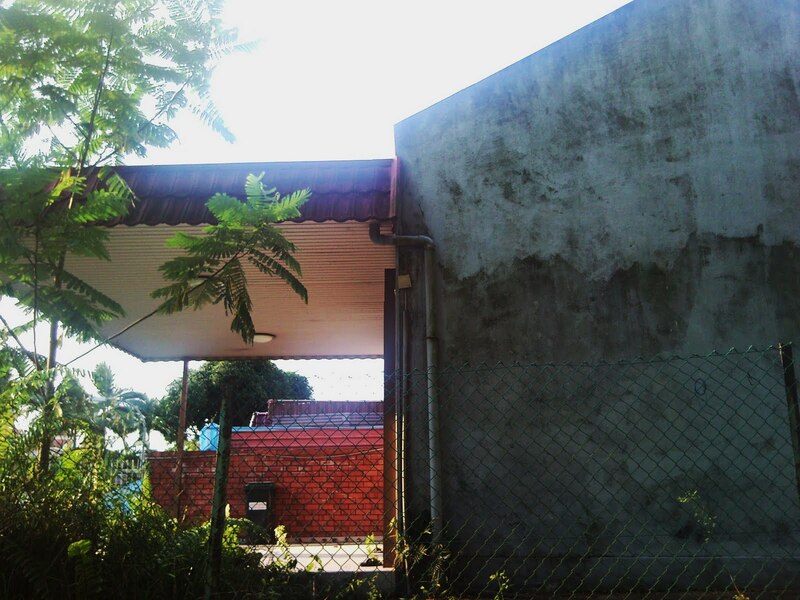 And so we come to the end of our random explorations of the vacant and abandoned houses and places in Singapore. If you do have more stories or tips, write them on our tag board and allow us to do more investigation on! Till then, Agent T signing off.